Turkey‘s foreign ministry had summoned Saudi Arabia‘s ambassador to Ankara over the disappearance of journalist Jamal Khashoggi after he entered the Saudi consulate in Istanbul two days ago. 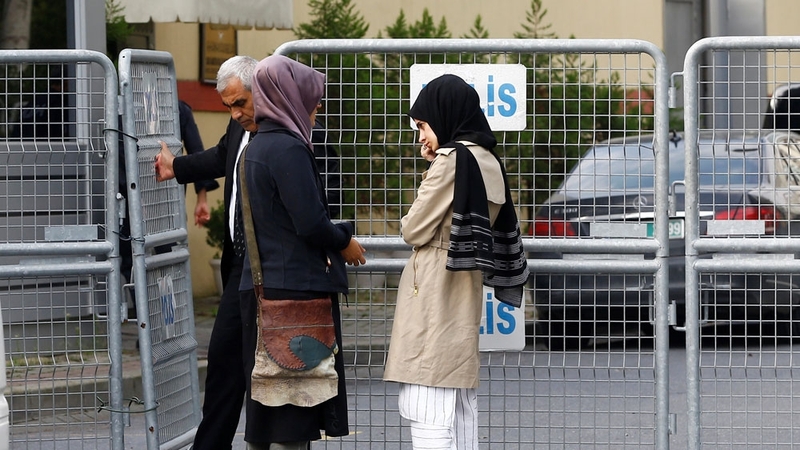 Turkish diplomatic sources as well as Anadolu news agency on Thursday said the Saudi ambassador was received by Deputy Foreign Minister Yavuz Selim Kiran on Wednesday “for consultations” over the critic’s disappearance. “The consulate confirmed that it is carrying out follow-up procedures and coordination with the Turkish local authorities to uncover the circumstances of the disappearance of Jamal Khashoggi after he left the consulate building,” it said without elaborating. Thursday’s developments add to the mystery surrounding the disappearance of Khashoggi, who had been living in self-imposed exile in the United States since hed he fled the kingdom in September 2017. The 59-year-old was critical of the Saudi government’s reform programme under the stewardship of Crown Prince Mohammed bin Salman. Khashoggi’s disappearance threatens to further deteriorate relations between Turkey and Saudi Arabia, which are on the opposite sides in the four-nation boycott of Qatar and other regional crises. Hours later, Khashoggi hadn’t emerged and Hatice recounted how she called his friends in a panic. “He is not a suspect … He is just a man whose country doesn’t like his writings or his opinions,” she told The Associated Press news agency. The Washington Post said it was “extremely concerned” about him. “We have reached out to anyone we think might be able to help locate him and assure his safety, including US, Turkish and Saudi officials,” the Post’s Fred Hiatt said in a statement.